India made two changes going into the fourth and final Test against Australia. Former captain Sourav Ganguly has expressed his shock at medium pacer Bhuvneshwar Kumar and all-rounder Hardik Pandya's omission from the shortlisted 13-man India squad for the fourth and final Test against Australia at the Sydney Cricket Ground. India made two changes going into the fourth Test, drafting KL Rahul in place of Rohit Sharma, who flew back to India to be with wife Ritika Sajdeh after the birth of their first child. Wrist spinner Kuldeep Yadav was also included in the mix as Ravichandran Ashwin failed to recover from the abdominal strain. 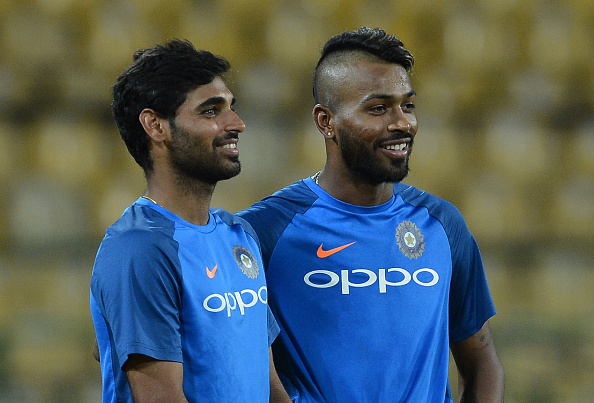 "I am surprised not to see Hardik Pandya in the 13 as he adds value with both bat and ball and would have been the third seam option as well. I am also surprised that Bhuvneshwar Kumar has not been brought in especially with Ishant unfit," Ganguly wrote in his column for Times of India. "While Australia have a lot of issues to settle in the squad, injuries to Ashwin and Ishant have also given India a headache regarding their team combination. With KL Rahul back in the squad, Hanuma Vihari will go back to No. 6 as Rohit Sharma has returned home. Suddenly, India find they are missing a few players, and need to juggle the batting line-up," he added. With a thumping 137-run victory in the Boxing Day Test at MCG, Team India retained the esteemed Border-Gavaskar Trophy. However, the numero uno Test side are yet to register its first ever series triumph on Australian soil. 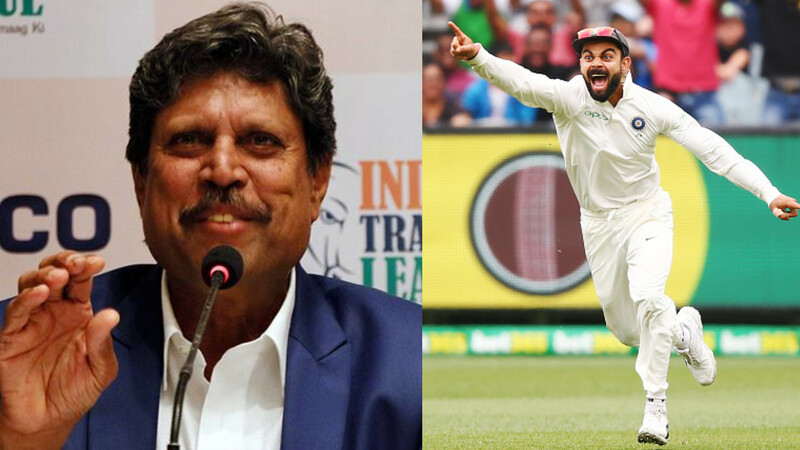 If India seal the series 3-1, Kohli will become the most successful India captain statistically by surpassing Ganguly’s tally of 11 overseas Test victories. "This is a huge match for both sides, more so for India as they are on the threshold of winning for the first time in Australia. 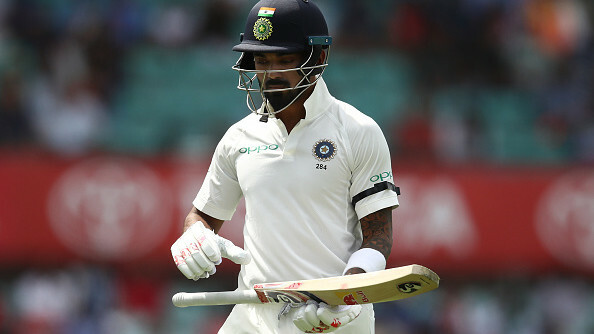 After their win at Perth, Melbourne was a massive downward slide for Australia with India dominating all five days and winning comprehensively. Coincidentally, the team that has won the toss and batted first has come out ahead in each match. It's a no-brainer that the side winning the toss will have a big advantage at Sydney as well," Ganguly stated. "There is a lot of talk about the SCG pitch; I am told that there is a fair bit of grass and that's obviously to stop it from breaking. The MCG was also dry, but was not unplayable, so India will have to be very careful when choosing the second spinner. Australia has included another, the allrounder Marnus Labuschagne, though I do not see them playing a second spinner there. Perhaps his being good enough to bat in the top six will get him into the XI," he further wrote. Meanwhile, Ishant Sharma has been ruled out of the Sydney Test because of the discomfort in his left rib cage. The lanky pacer was instrumental in India’s victories at Adelaide and Melbourne. “Australia will have to get their top-order right. There are lot of questions are being asked about Aaron Finch and I don't think his technique is right for Tests. However, he can breathe a sigh of relief as Ishant Sharma is out with an injury. Finch looked particularly uncomfortable against Ishant, the opener having a problem with the ball coming in," Ganguly said. "The Australian batting has been at its lowest in the last 15 years and that is understandable with the team going through a rebuilding phase but to blame T20 cricket completely for it is not fair. The likes of Williamson, Kohli, Smith, Warner, Root, Butler, and Bairstow play a lot of T20 also, but have adjusted to the longer format. The problem with Australia's batting is that their defensive technique has deteriorated and they are not backing themselves enough. I believe players at that level must adjust to all formats of the game," he concluded.